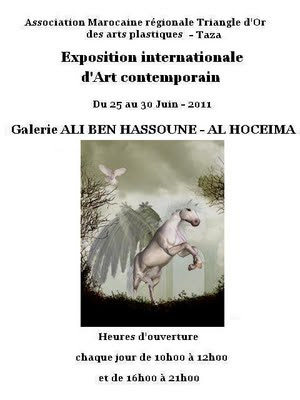 Some months ago I started to organize an exhibition in Morocco, with my friend the great artist Elmadani Belmadani. Eleven artists of the artistic association EDA which I belong gave me their artworks. I prepared a huge package with them and their biographies that I translated to English. Elmadani Belmadani translated them to French when he received them. But, well, some people started to paint an artwork to send it to Morocco. And they said "the painting is drying". The short bio of some people became 2 full sheets, so they had to be summarized. My husband had to make the photo of some artworks because they were missing. And a lot of other things and stories that may make you laugh LOL! The exhibition has been a great success. I want to thank Elmadani Belmadani, a great professional and a brilliant artist, for this great international exhibition. 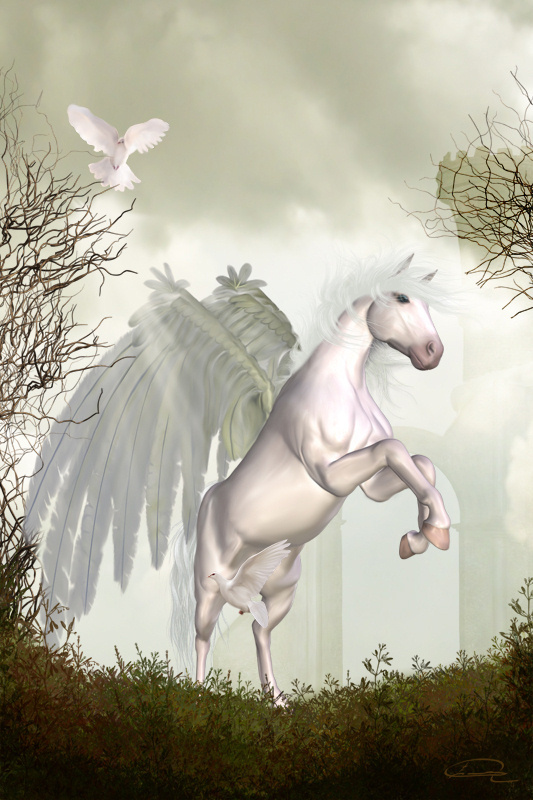 The work that I sent that was "The Free Soul Of Pegasus" was in one of the official posters of the event, and in addition my work appeared in a TV reportage about the exhibition, in the 2M Monde channel. 2M Monde TV has an audience share of 27% !! !